Forestry is the study of forests as a natural resource. Sustainable management of forests is important as trees and forests improve our lives, make the air we breathe, clean the water we drink, absorb carbon dioxide that limits global warming and provide wildlife habitat and public amenities, hosting a wide range of recreation. 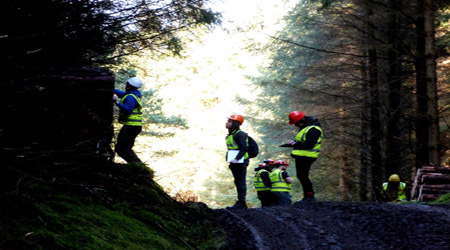 A forester’s role is to ensure that our forests continue to supply these environmental and social benefits, while also producing wood, a sustainable and renewable material used in construction, furniture, joinery, paper, energy and bio-refining of chemicals. Forests make up 11% of the Irish landscape, and the forest sector contributes €2 billion each year to the economy and employs 12,000 people.